Our Friday the 13th Jason Costume Kit features a mask, shirt and machete. 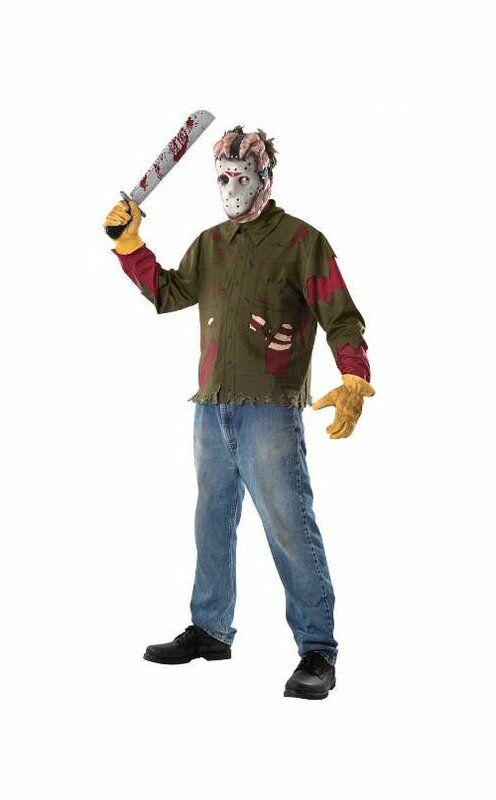 This Friday the 13th is an officially licensed Jason costume. Add a little fake blood or wounds to make it as realistic as possible.